I have to admit that it's hard to think about Fall when the heat index has been above 100 degrees all week. 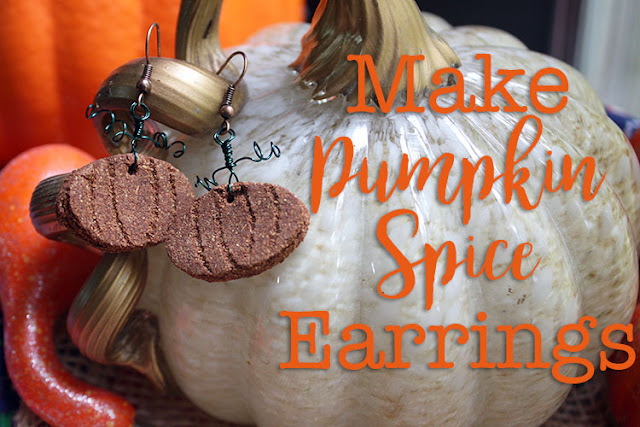 However, as soon as I saw Erin's Ode to Autumn as the inspiration for this month's We're All Ears prompt at Earrings Everyday, I knew what I wanted to create. And since it's so simple and fun, I thought I'd share the process. 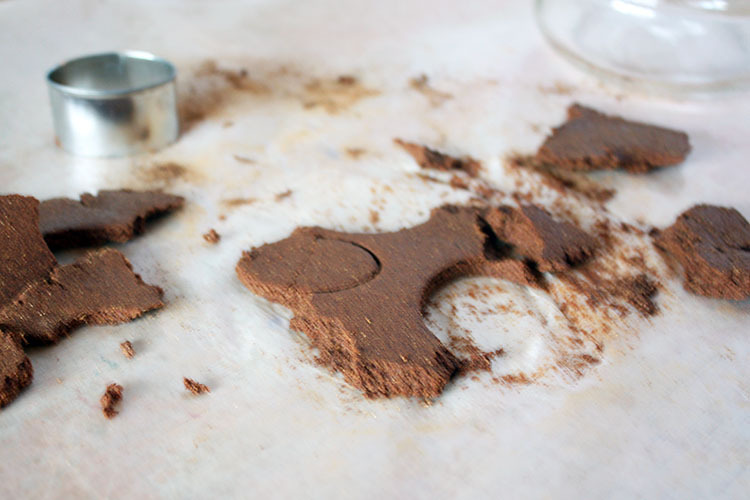 This time of the year, coffee lovers are all a-flutter about Pumpkin Spice Lattes. 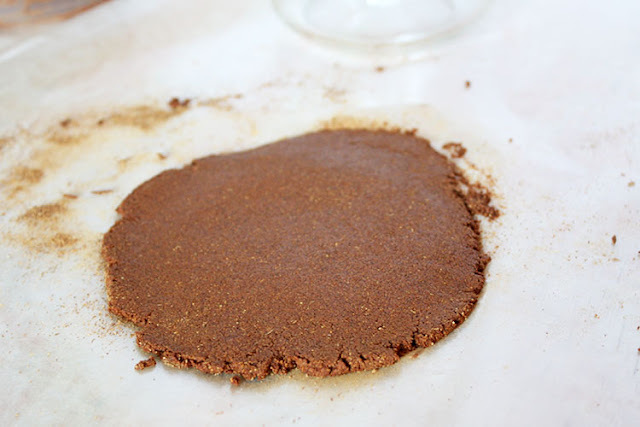 Honestly, I'm more of a Peppermint Mocha gal, but it's hard to resist the allure of the of cinnamon, ginger, nutmeg, allspice, and clove mix that is Pumpkin Spice. Who wouldn't want to carry that scent with them? 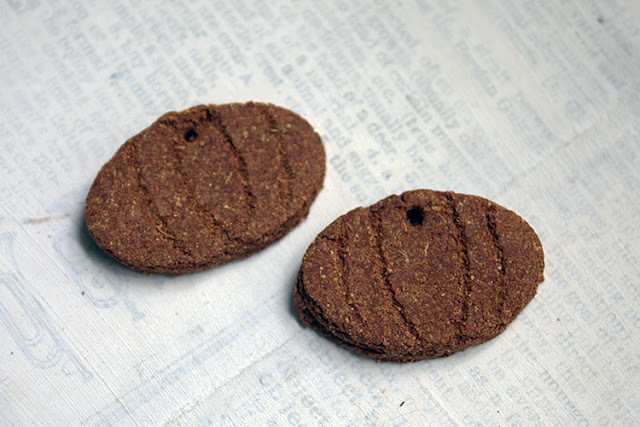 I have vague memories of creating cinnamon dough ornaments when I was a kid so the idea of making a pumpkin spice dough, in the same manner, came easily enough. 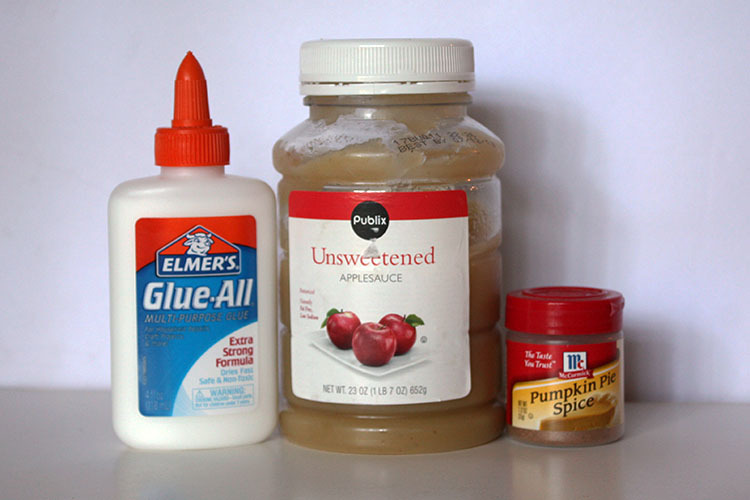 There are only three basic ingredients to the dough: white school glue, unsweetened applesauce, and pumpkin pie spice. 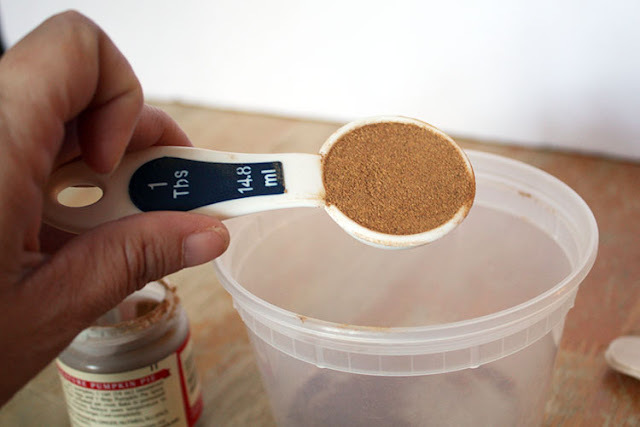 If you don't have any, it's easy enough to mix up your own pumpkin pie spice with ingredients that are probably already in your pantry. 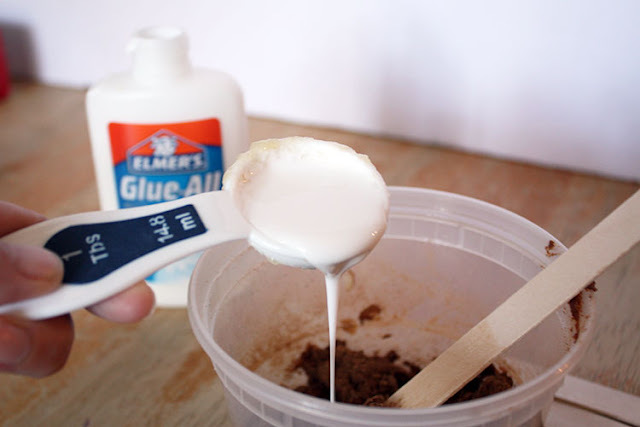 and 1 Tablespoon of White Glue. Mix the ingredients together until they form a soft-ish ball. You can play with the ingredients to get the right consistency. 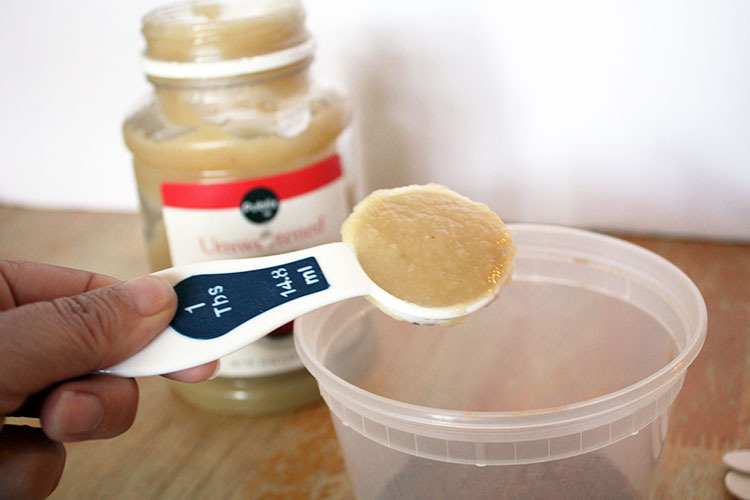 Add applesauce if it's too dry and spice if it's too wet. When your dough is mixed, place it on wax paper for easy clean-up. 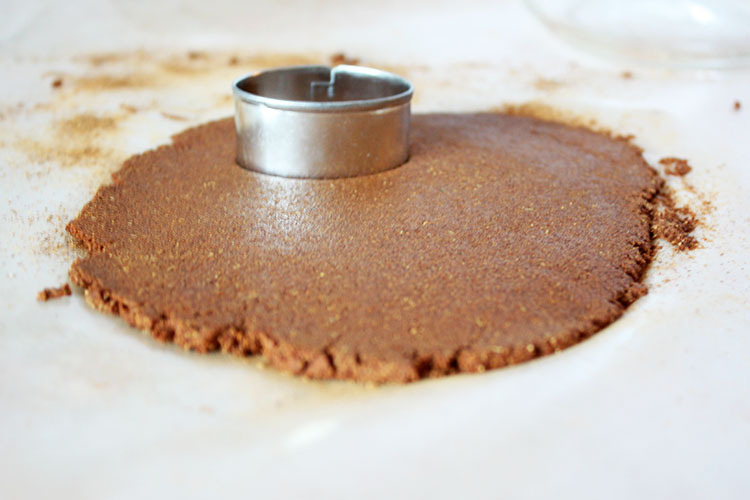 You may want to sprinkle some of the Pumpkin Spice on the dough as well as on your rolling pin to keep the dough from sticking. 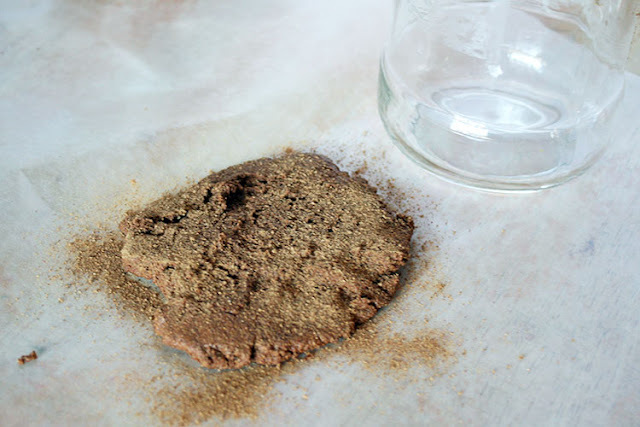 Use a rolling pin or old jar to roll out the dough to your desired thickness. I rolled mine out to about 1/4 inch thick. 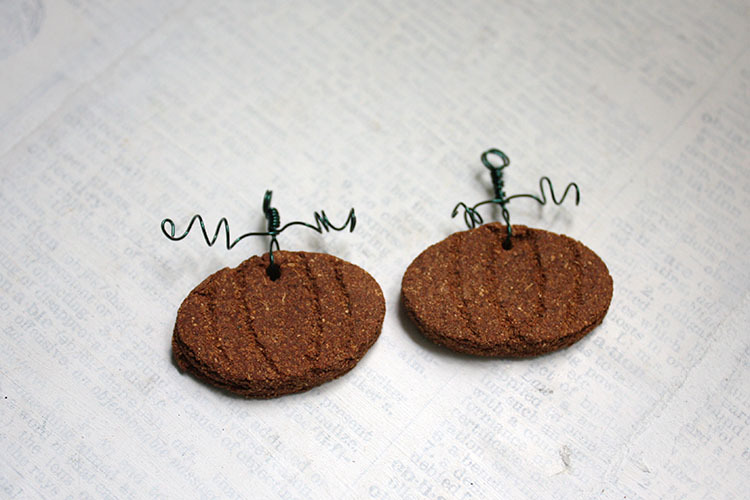 I used a small, oval-shaped cookie cutter (from my polymer clay tool stash), but you could use any shape you have or cut it out with a knife. 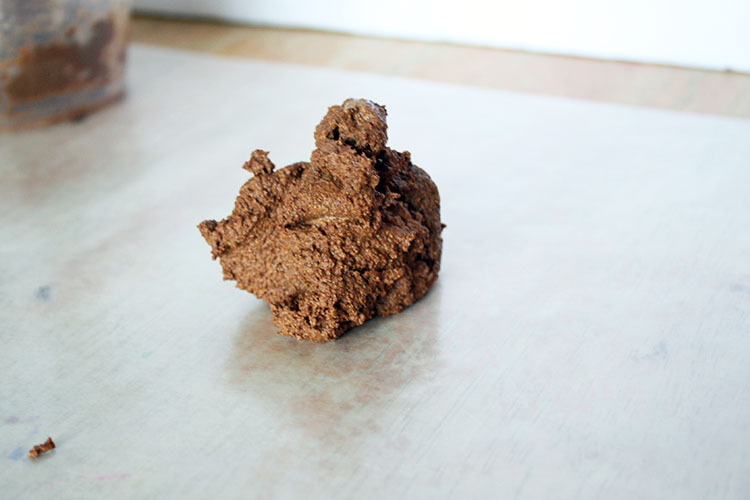 I found it difficult to pull the shapes from the dough, and instead removed the excess to get to the ovals out cleanly. Use a toothpick to carve lines in your pumpkin and make sure to create a hole at the top from which to hang your charm. Once your charms are created, you will have to let them dry so they will harden. I let mine dry overnight then baked them in a 200-degree oven for an hour. 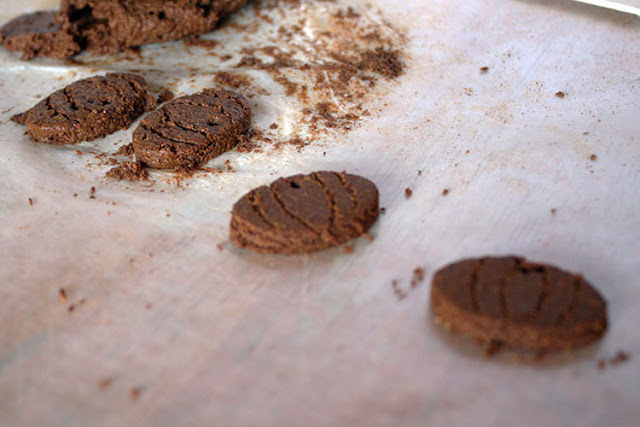 You could also let yours dry for several days or bake them for 2 hours at the same temperature. Once they are dry, they will be stiff and smell wonderful. From there, you could add jump rings and ear wires and be done, but I wanted my pumpkin spice earrings to have a little more pizazz. So, I created connectors that look like viney pumpkin stems. 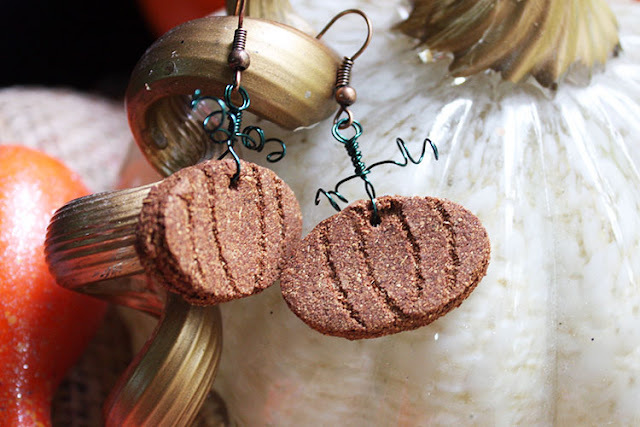 The process for making those is detailed in this Making Wire Vines for Pumpkin Spice Earrings video. When the wire vine connectors are made, you'll have something that looks like this. Connect your ear wires in the same way you would open and close a jump ring. 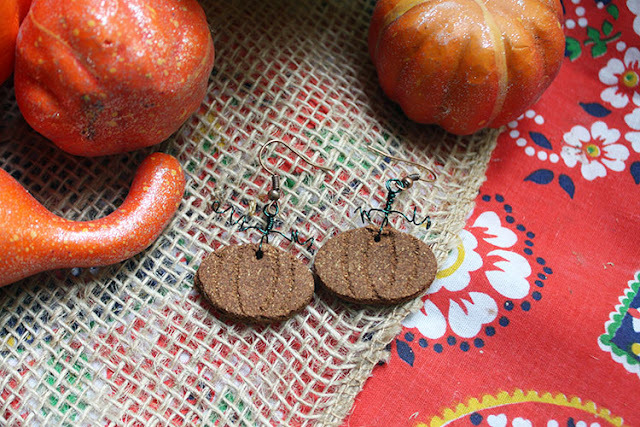 And, BAM - you have a super cute and fun pair of earrings that smell like Fall where ever you go! Who needs a latte when you've got Pumpin Spice Earrings? 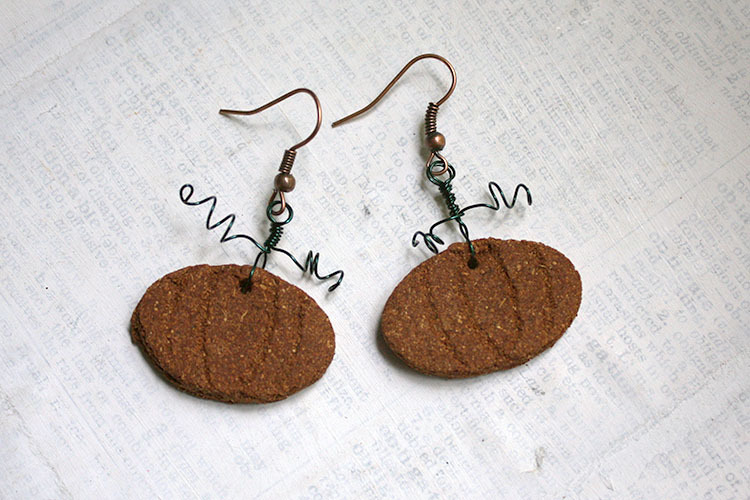 Make sure to head over to the Earrings Everyday blog and see how the other artists interpreted the Ode to Autumn. I'm also linking up to the following link parties: Hello Fall Link Party, Handmade Hangout, Thrifty Thursday, Flaunt It Friday, Friendship Friday, Friday Frenzy, Saturday Sharefest, Sweet Inspiration Party (where I'm FEATURED!! ), That DIY Party, Nifty Thrifty Sunday, Craft Schooling Sunday, Made by You Monday, Mad Skills, and Inspiration Monday. Ohhh wow, beautifully smelling earrings! Now that is something else. Thank you for the tutorial. And those earrings are super cute. Janine, Yes, they smell fab and are less calories than a latte! ;) So glad you like them. I appreciate you taking the time to drop by! Erin, They smell fabulous! Thank YOU for the awesome inspiration. I wanted to make some other more "serious" earrings, but just couldn't find the time and the idea for these was firmly implanted in my head. Ha! Thanks again. Thanks! They're just a little playful pair that I don't expect to last past the Fall, but they're so easy to make, I can make another pair next year. Thank you for stopping in!! Really cute idea! I love the green vines. Well done as always! Thanks Kathy! I had thought about doing leaves, but didn't have a clay cutter (anymore) in that shape. Something told me to go with the pumpkins and the vines evolved from there. They're even cuter than I thought they would be! I appreciate you taking the time to take a peek! I absolutely adore these, what a fun idea! (I know what I'm making this weekend. ;-) ) The wire vines fit in perfectly too. Thank you for sharing your process! Anita, I'm so very glad you like them. It was just one of those things that when I came up with the idea, I had to make them. They are really simple to make. Enjoy yourself! Oh these are so darn cute! And I bet they smell divine too! Sarajo, They do! I'm so glad you like them. Thank you! !